On December 15, 2006, hurricane force winds leveled 10,000 trees in Stanley Park. 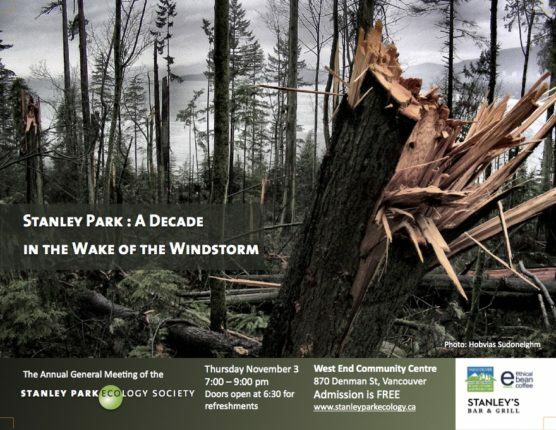 Join us during our AGM for a special presentation by Vancouver Park Board staff who have worked closely with SPES before and since the windstorm. See how subsequent restorations are reflected in the landscape and wildlife of this globally heralded park.